The gig economy, which encourages short-term labor contracts, has affected the way marketing agencies function. Agencies have to specialize, then partner, in order to thrive. “Another one bites the dust” seems to be the theme of marketing agencies lately. Many are in the midst of rebranding or restructuring, while others are closing their doors. But why are agencies having such an identity crisis? A big reason is the gig economy, or “a labor market distinguished by the prevalence of short-term contracts or freelance work,” according to the BBC. In this article, I’ll go over the spread of the gig economy throughout various industries, as well as the effect the gig economy has had on the marketing agency model. Marketing agencies aren’t the only ones affected by the gig economy. The consumer market is shifting, too, with Uber and Lyft pushing out decades-old taxi companies. New companies like Postmates, a delivery service, are putting nearly anything at buyers’ fingertips. The gig economy has also had an effect on business services. Companies like Fiverr (pictured below) and Upwork promise on-demand, talented freelancers. Traditional agency models carry a lot of overhead and a large price tag. Because in-house marketing and sales teams have developed more skills lately, agencies are being asked to prove their value or risk losing their place in the plan. 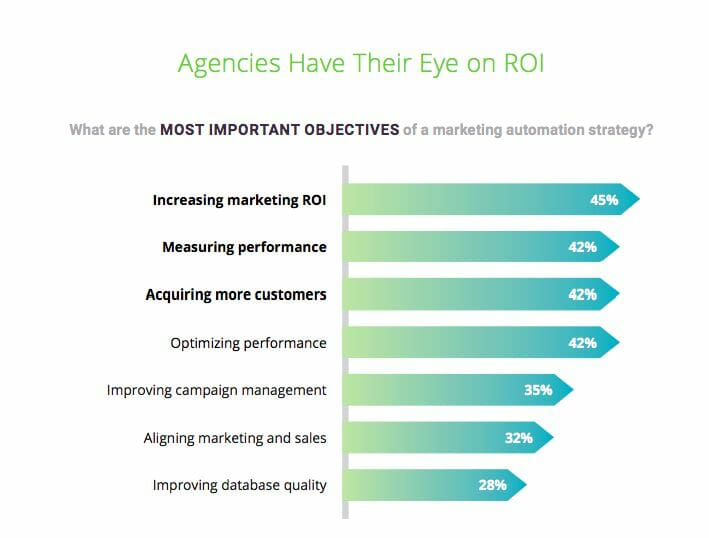 According to data from SharpSpring, increasing marketing return on investment (ROI) is the most important objective of a marketing automation strategy. As marketing operations began to get more sophisticated, organizations looked for a new kind of marketer. Data analysts, operational strategists, and system administrators have become a normal part of B2B marketing teams. Unfortunately, many marketing agencies haven’t staffed these skills and are struggling to provide what their clients are looking for. When it’s time to prove ROI for their campaigns, they come up empty handed. Our societal preference for large companies – and the security they traditionally promised – has changed. These preferences come with us to the office, which has opened a door for marketing consultants to fill the role of the agency. Consultants, like other successful verticals riding the crowdsourcing wave, continue to gain traction. They, too, make it harder for agencies to catch-up. With little to no overhead, consultants can offer services at a fraction of the price of conventional agencies. While traditional agencies are rushing to find their new identity, this rising group is bridging the gap in the marketplace. What Will Happen to Marketing Agencies? Agencies as a whole won’t disappear, but they’ll have to shift their model to stay relevant and deliver what nimble teams are seeking. Inc. writer Dan Scalco noted that companies often reach out to agencies to augment their team’s skill set. The need for these temporary skills can be seasonal or project based. A special event, new product release, and experimenting with new mediums can all be good reasons to bring in an agency team. Companies don’t usually need year-round augmentation, so dedicated staff doesn’t make sense. According to Digital Neighbor, another common reason that marketers bring in outside teams is to extend bandwidth. In a revenue-centered model, many internal teams run lean, which works most of the time. But when conversion rates slip or sales goals aren’t being met, it’s hard to squeeze more from a team that’s already giving their all. Marketing agency help allow these teams to ramp up and down as their organization requires. A new model of expertise and partnership is now the marketing ideal. Agencies thriving in today’s modern business climate are those that have chosen to both specialize and to link arms with other agencies to deliver a full-suite of services. Together, they can offer it all, and at a quality that can rarely be matched with in-house teams and contractors. As agencies specialize, they are able to demonstrate expertise in marketing best-practice. This allows customers to focus on their messaging, their audience, and their products with the same level of expertise. The gig economy that has appealed to consumers, and changed many consumer industries, has made its way into the business world. This is causing agencies to change, but it doesn’t mean they are going away. As agencies lessen overhead and increase their expertise, top-shelf service becomes affordable for all, not just enterprise organizations. Just as a rising tide lifts all boats, the gig economy will bring a brighter future for all marketers. 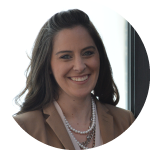 Angela Earl is President of Haatzama Marketing, an agency providing marketing operations services to B2B marketers to fuel growth. Angela leads the agencies growing team of experts and with experience on both sides of the agency-client relationship, she understands what it takes to produce quality work that meets expectation. With over 20 years of experience, Angela is a champion of efficiency and data driven marketing for the Haatzama team and their clients. Connect with her on Twitter and LinkedIn.